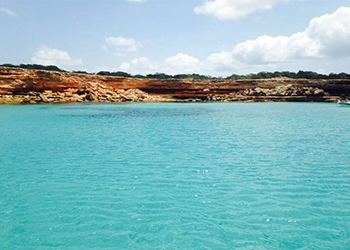 Each time you visit the caves in Formentera, you get a different experience depending on the tide. 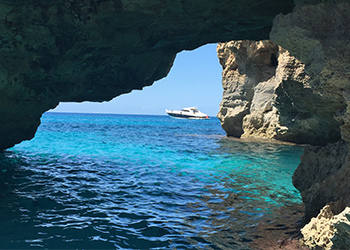 Time it right and you can take your tender through the natural stone bridge, to the base of the cliff. 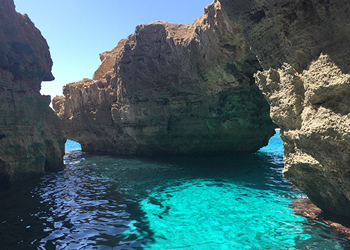 Climb the ledge, go through the tunnel and dive into the clear blue water of the semi submerged cave, then swim through to the other side.